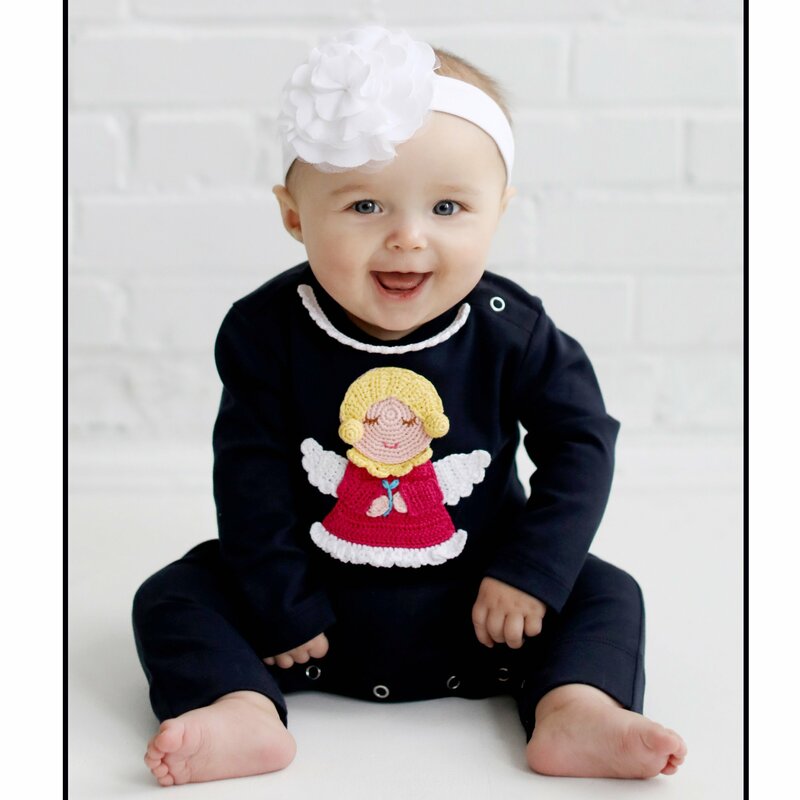 This absolutely adorable "Guardian Angel" black romper with crocheted angel is from Lemon Loves Layette. We just love the detailing and the colors against the dark background. A sweet, white crocheted ruffle details the collar as well. Two snaps are at the shoulder for easy dressing and legs feature snaps for easy dressing and quick changes. 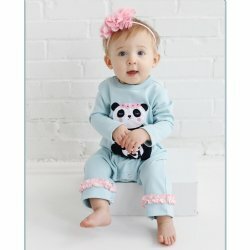 A great baby shower gift and perfect romper for the warmer months ahead. 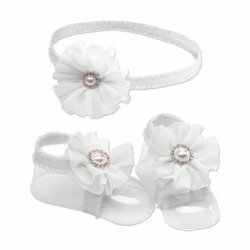 Pair with the roseshadow pink headband to complete the look. 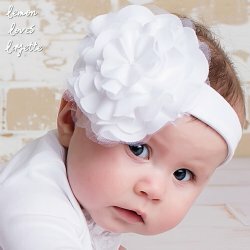 Pair with the white Lilypad headband as shown in the photo for a perfect outfit either for Take Me Home or for anytime. This is a great romper for any other special occasion. Check out more Fall Rompers from Lemon Loves Layette. 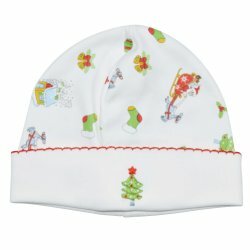 Coordinates beautifully with our Lemon Loves Layette Holiday Collection.